Friday the 13th fell on a Thursday this month, so I am going to call its Twisted Thursday, and we are going to dedicate the day to scary stuff. 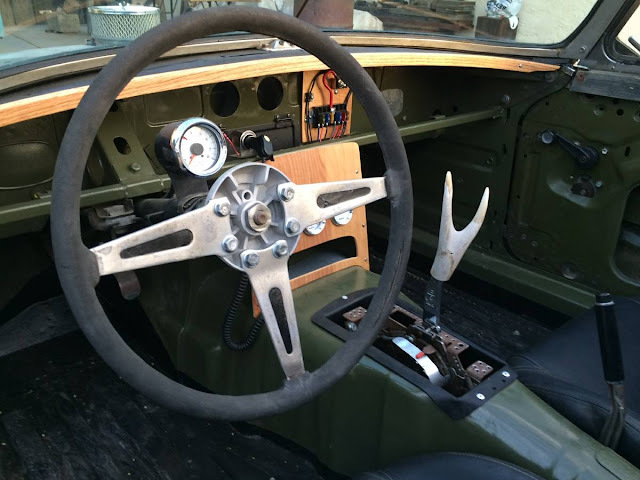 Does it get any scarier than shoving a boat anchor cast iron V6 in the front of an MGB and then outfitting the interior in deer antlers? Good luck getting that shifter past the meanies at the NHTSA. Find this 1974 MG MGB V6 offered for $3,400 in Tucson, AZ via craigslist. Tip from Sean S.
I can see the inscription on the tombstone now: "Didn't slow for a speed bump. Impaled by deer antler." 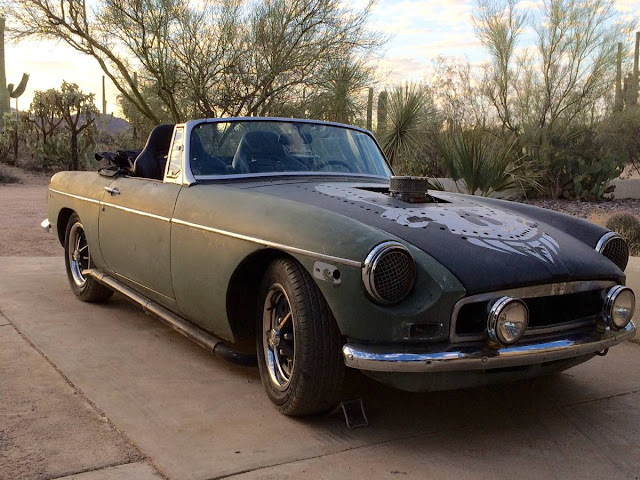 If the bearded skull icon and bullet hole festooned hood doesn't give it away -- then the leg searing side pipes will let you know that the builder of this custom green machine cared not for life, limb, or property. 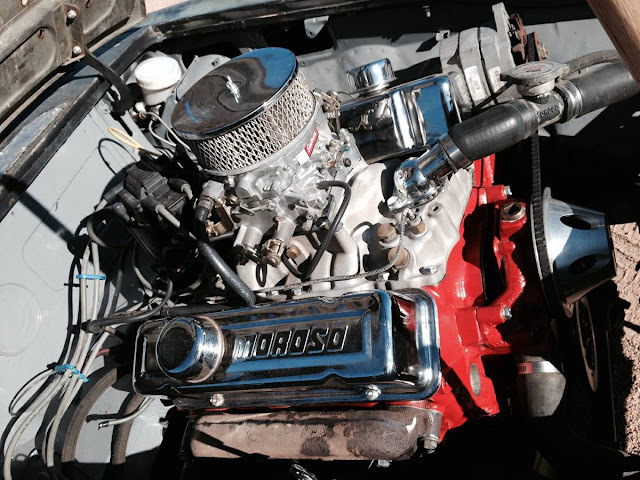 The 3.8 liter Chevy V6 under the hood has been rebuilt and is fitted with a mild cam, roller rockers, Edelbrock intake/carb and is mated to a GM slushbox with a Bison & Moose (B&M) shifter. The wheel chock in the one pic tells me everything I need to know. Simple, no fuel injection, no lights and no wipers. This what happens when you wear a beer dispensing hat with London dry gin on one side and Kentucky bourbon on the other.